Whether you need 25 full-color custom booklets printed or 10,000, our booklets are produced on top of the line printing presses. 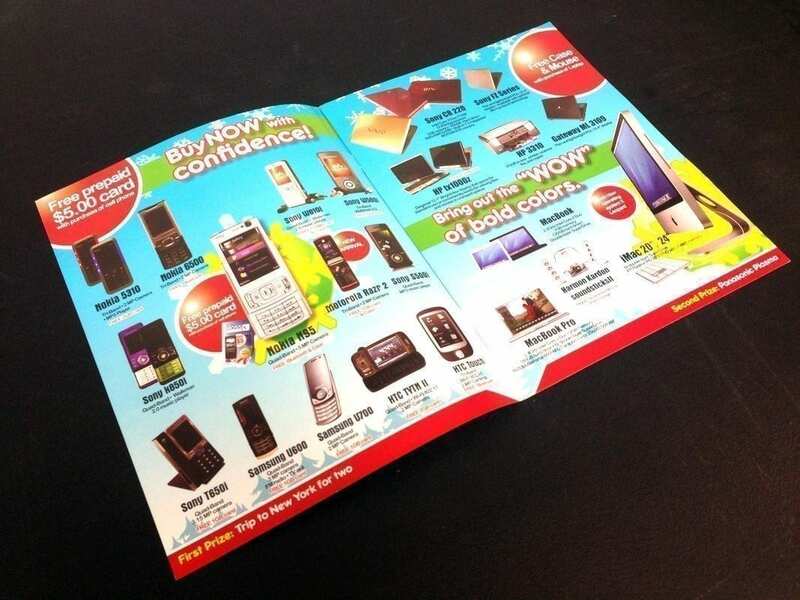 Booklets are still being used as promotional and advertising tools today. Booklet marketing has proven to be one of the most effective advertising techniques today. Booklets allow you to deliver eye-catching, useful, targeted information to your customers in a way that professionally brands your company and generates sales. Booklets are effective because they professionally feature brands to target markets. These are great for broadcasting information about a product as well as the company itself. Booklet printing is a powerful sales tool and an excellent way to communicate key messages about your products, services, and companies, so bring your business to life. Custom booklets make getting information to your customers and prospects easy. Choose your size, paper stock, and cover style to get exactly the look you want. We offer short run booklets from 25 quantity to 400 quantity, these are our digital run custom booklets. Our large run booklets, bulk printing booklets, have a minimum of 200 quantity booklets and are printed on our larger press making it a more economical booklet per piece. The short run booklets take about 3-7 business days turnaround, depending on the quantity. Our offset, large run booklets take 8 to 10 business days. Our short-run digital full-color booklets are printed on 100lbs gloss text standard but a 70lbs bond paper is available upon request. Our large run offsets full-color booklets are printed on 100lbs gloss text with an AQ coating. All our booklets are printed full color and saddle stitched. You can add a mixed cover for an additional charge. Available with 8 to 40 pages and a variety of sizes (more pages’ options available). Our cheap booklets have a great quality with our 100lbs standard paper stocks. Standard binding is saddle stitched. Fast printing, turnaround 3-10 business days.